What Global Factors Are Key In Decreasing Rates Of Domestic Violence? Globally, one in three women experiences domestic violence. Yet, groundbreaking new studies have shed light on how we can reduce the rate of domestic violence worldwide and work towards solutions, as we discuss below. One new study accepted for publication in November found that when women take part in educational programs that elevate their social standing in their community, this can decrease the incidence of domestic violence; if combined with improving their economic status. Specifically, women who received both economic assistance and education for two years reported a 26 percent decrease in domestic violence. This particular study was run by the International Food Policy Research Institute and initially set out to examine whether household health improved when women were provided food (or economic assistance to buy food) and educated on healthy diets in general. The study groups were broken up into women who were given no resources, women who were given food or money to buy food, and women who were given both money to buy food and training sessions on nutrition. An unforeseen result of the study occurred when researchers noticed that the women who were provided both funds for food and education were noticeably more “confident” and “outspoken.” As a result, six to 10 months after the nutrition study ended, the researchers interviewed all of the women who participated, and asked them about violence in their homes. While the two groups with no resources or just money for food saw no lasting changes, the third group—those with both money for food and training/education—saw a 26 percent decrease in spousal abuse. Meanwhile, another new study offered very similar findings: that economic progress in and of itself does not necessarily affect domestic violence. Even in countries where women had made strides in achieving greater gender equality—including in education and the workforce—the acceptance of domestic violence was still relatively high. In other words, improving the lives of women is not enough to decrease domestic violence committed against women. Victims of domestic violence, first and foremost, need to be protected. 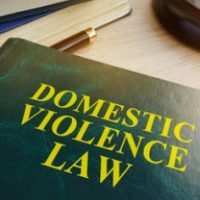 At the Arwani Law Firm, our Orlando domestic violence attorneys can help if you need a protection order to protect yourself from your spouse or ex. Contact us today to find out more.